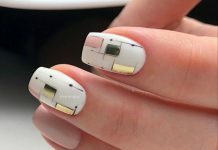 NailDesigners, do you like swan nails? 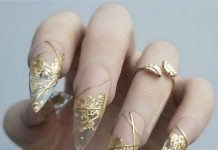 Many women want to have swan nail design art because of these graceful feathered creatures. A lot of the interest we have on swans probably stem from literature rather than the actual birds. If you grew up with fairy tales and folk tales, you probably won’t have escaped being told the story of the Ugly Duckling. In this sad little tale, an ugly duckling is shunned and shooed away wherever it went. It suffered the cold winter and the pangs of hunger until one day, the Ugly Duckling was so miserable and lonely that he threw himself at a flock of migrating beautiful swans. Instead of being killed as he expected, they welcomed him. When he looked in the water, the Ugly Duckling realized he had grown and matured into a beautiful swan and he flew away with his new family. If you’ve ever felt like an Ugly Duckling, we hope that you are now a full-fledged beautiful and graceful swan. 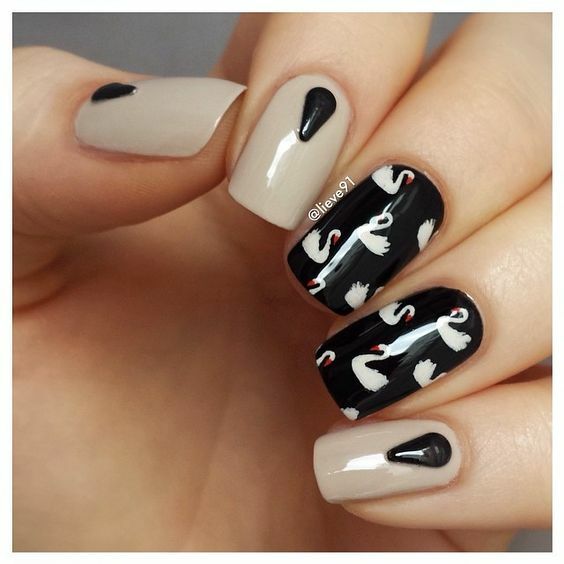 And to symbolize that, enjoy these swan nail art designs. 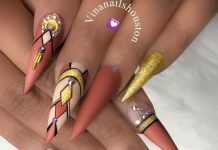 As expected of our nail art veterans, we have a huge array of designs ranging from iconic, symbolic, and even abstract depictions of swans. A few actually remind us of Natalie Portman’s The Black Swan movie. One design in the set uses actual feathers while others use gemstones.